The November issue of PUF is a double, so you'll want to make sure you also see the Fortnightly Innovators Special Issue announcing our innovation award winners. We were thrilled to have over seventy nominations for the 2018 innovation awards, and all of them were intriguing. Because the nominations were too numerous, almost overwhelming us, and yes, that is a lot of innovation, I'm going to mention a few here. In fact, we had seventy-one qualifying nominations, and the judges chose twelve Fortnightly Top Innovators, a highly selective one in six. Here's a few of the nominees I liked. Ameren Transmission's James Pierce, supervisor, unmanned aerial systems and transmission line maintenance, was nominated for his work in drone technology. Pierce brings nearly twenty years of engineering, remote sensing/GIS, aerial photography and project management experience to the drone team and earned a Part 107 drone pilot certificate from the FAA. Pierce and his team are leading an artificial intelligence program utilizing deep learning neural networks to interpret images obtained by drones and analyze them for traits such as broken or rotted cross arms, bad pole tops and ascertain general asset health. 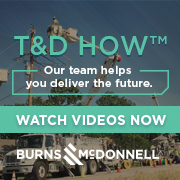 The technology aims to revolutionize the unmanned program by adding a layer of analysis allowing Ameren to shift from reactive maintenance to proactive solutions. PPL Electric Utilities nominated the team of Yi Li, Kimberly Gauntner, Mychal Kistler, Tina Rauch, and Patrick Barnett for their work on the ArcSense Project, stating they are on the cusp of a paradigm shift in improving safety on its distribution system in protecting the public from downed energized electric wires. Using a novel fault detection method called ArcSense, it uses harmonics on the current rather than magnitude to detect arcing on downed electrical wires. Read more in the November Fortnightly Innovators Special Issue interview with Mychal Kistler. Everyone wants safe, clean, reliable, and affordable water. We were excited to receive the nomination of American Water's Dr. Ben Stanford, senior director of water intelligence, whose priority has been to prevent the accidental contamination of drinking water systems when spills occur upstream of a drinking water treatment plant's intake in rivers and lakes. Ben and his team recognized the potential weaknesses of existing sensor technology, so are testing and bringing in new sensors in to improve detection of contaminants. His team is building an artificial intelligence-driven monitoring system that informs operators, then provides adaptive, guided-response strategies when events are detected to help keep customers safe from potential water contamination. Eversource Energy nominated Aaron Hanenkratt, supervisor, transmission systems, for the challenge he and his team took on to upgrade the enterprise energy control system (eECS) in Eastern Massachusetts, which operates the utility's electric transmission, subtransmission, and distribution systems at three regional systems operations centers. In parallel with this eECS project was a major renovation of one of the operations centers, displacing all three dispatch groups. One challenge was the installation of a new electronic map-board display with different dimensions from the one being replaced. An interim solution was needed for the operations center until the installation of the new map-board and Hanenkratt volunteered a solution he designed. With expertise gained as a senior supervisor in the ISO-New England control room, he leveraged existing software to build a system overview that displays both real-time power flow information and dynamic visual indications. A worthy nomination came in for the Arizona Public Service customer technology team of Marc Romito, director, and managers Kent Walter, Erika Larsen and Dawn Tomkins. One of the many projects they initiated is the APS Solar Communities Program, launched in July 2018 that gives limited- and moderate-income residential customers access to solar. Participation in the program is free and qualifying customers receive a thirty dollar monthly bill credit for the next twenty years. This program gives a wider population the ability to support Arizona's clean energy and allows APS the ability to better control renewable energy on the grid. Baltimore Gas and Electric nominated Pat Carberry, engineering manager for the augmented reality tour and operation of the Coldspring Battery Energy Storage System. As a first implementation of this technology at BGE there is broad interest in viewing it, which requires special clothing, escorts and equipment unavailable at times for show. Carberry created a virtual tour via use of a 3D scanner to capture a 3D point cloud of the battery storage system, the company's drone to obtain aerial imagery of the substation, and BGE's emergency preparedness iPads as a presentation platform. Innovation doesn't have to be expensive, as the entire solution was implemented in six weeks for fifteen thousand dollars.